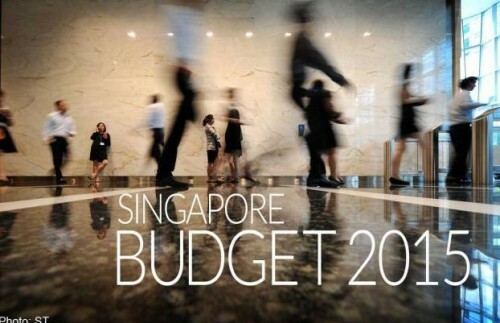 SINGAPORE - Investment in the Singapore startup ecosystem proposed for Budget 2015 were welcomed by entrepreneurs and venture capitalists (VCs) here, even as concerns over their limitation in scope and challenges in implementation lingered. The new venture debt programme - where the government will provide 50 per cent risk-sharing with banks to fund companies with "minimal collateral" - was one of the more monumental initiatives unveiled on Monday, according to those BT spoke to. "This will provide high-growth companies with alternative funding. A common problem new companies often face is fund-raising the traditional way as they have not been established with a track record or collaterals. But many of them show promise, and their lack of a track record and collaterals is a risk that investors will have to take," said Isaac Ho, managing partner of private investment firm Singapore Health Tech (SHT). A challenge, said Kuo-Yi Lim, co-founder of Monk's Hill Ventures, will be to see enough bank partners participate in the programme, although he noted that DBS had in early February announced a venture debt programme and Temasek Holdings in January acquired Silicon Valley Bank India's venture debt business. "I am looking forward to this gaining traction and burnishing Singapore's reputation as the region's startup and innovation financing capital," said Mr Lim. For that to happen, banks will need to re-examine their method of determining creditworthiness, said Christopher Quek, director of Angel's Gate Advisory. "Banks still expect very clear profitable business outcomes and founders to do personal guarantees before they are willing to lend. Despite the risk sharing by the government, it doesn't encourage the banks to loan to high-risk ventures. Considering startups with limited revenues and financially-weak founders, this scheme will have limited application within the ecosystem." In fact, Mr Quek's view is that Budget 2015 is highly focused on startups that are seeking at least S$1 million in funding, and not so much those in the idea or pre-seed stage that are seeking not more than S$500,000. "There is sufficient seed to Series A funding in the Singapore ecosystem; what's lacking is the initial high-risk angel funding. Many VCs and investors I spoke to who have been lamenting the lack of startup deal-flow here have turned to overseas to invest their money," he shared. Even so, Mr Quek applauded the government's move to expand the National Research Fund (NRF) by S$1 billion, saying this will benefit startups in the medtech and hardware engineering sectors, which usually require more capital and time to commercialise their innovations. ICT (information and communications technology) startups, in comparison, will not benefit as much because they do not produce significant intellectual property, he noted. Meanwhile, increasing the co-investment cap under the Startup Enterprise Development Scheme and Business Angel Scheme (BAS) such that early-stage companies can each receive up to S$4 million in total funding raised, and awarding the BAS an additional S$75 million to partner more angel investors, not only provide startups access to more capital but mentorship from investors - something SHT champions, said Mr Ho. "With mentorship, startups also gain access to (their investors') networks to help build their profile and expand into high-growth markets like China," he added. Leslie Loh, managing director of Red Dot Ventures, concurred, saying that internationalisation will deliver growth capabilities for startups after they have validated their innovations at home. "The enhancements to the Capability Development Grant, Partnerships for Capability Transformation and Collaborative Industry Projects programmes will collectively also create a supportive test-bedding environment to foster innovations in Singapore," said Mr Loh. Implementation of the various policies remains key, said NSI Ventures, a Singapore-based firm that invests in South-east Asian startups beyond the seed stage. "Some early-stage schemes - with their legion of criteria - have put venture capital funds in a corner by narrowing their investment focus and imposing timing delays. This limits the attractiveness of the offering to VCs who just want to invest in the best companies or ideas." The government's move to simplify the application process for many of these schemes was therefore welcomed by many players. Constraints notwithstanding, new research published in the Harvard Business Review last week showed that Singapore has demonstrated high levels of digital development and positioned itself to support innovation and entrepreneurship. Said Hugh Mason, co-founder of startup accelerator JFDI-Asia: "The measures announced in Budget 2015 show the government following through to create the right incentives for investors and startups to turn that positioning into action. I personally believe it's only a matter of a few months or a year before we see the first S$1 billion homegrown digital startup exit in South-east Asia."